POSTED BY: Mark Skwarek | Sat Apr 14th, 2012 12:40 p.m.
Artists and activists from around the world are called to join the arOCCUPATION of May 1st 2012. Brooklyn based Devotion Gallery will show the AR intervention live, on site in the NYC's Financial District. With ideas + a 640x 480 image [or higher]. Don't let your country go un-augmented! 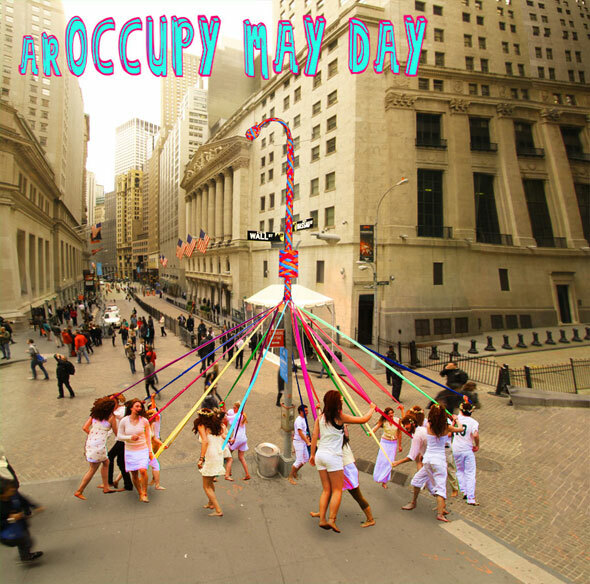 arOCCUPY May Day's main location started in NYC's Financial District and has been spreading across the globe. Sydney, Australia has recently signed on as another main location of the intervention. If you would like an arOCCUPY May Day in your community we would love to help! Tell us where. arOCCUPY May Day is a non-violent action meant to send a message to the 1%. The global community will be heard in the heart land of the 1% and maybe in your hometown! The event will cover the NYC Financil District.